Home / Adviart Blog / Extend your personal network. Extend your personal network. The shell picked because of its smooth surface. The words written in capital letters, boldly, unapologetic and precise. The words take up the whole shell, signaling the boldness required to extend a personal network. A personal network grows by taking small risks–finding opportunity, seeking opportunity, optimizing opportunity, and connecting with others. 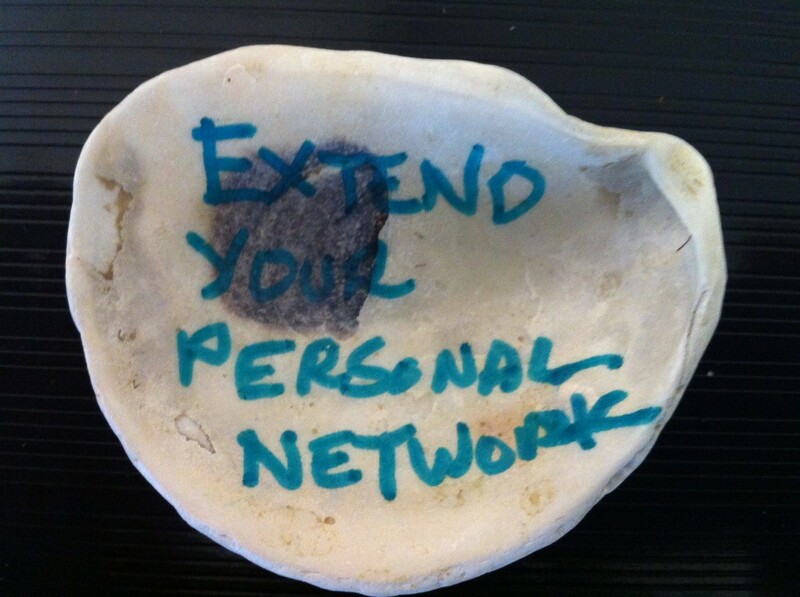 How can you extend your personal network each month? How do you maintain quality in a personal network?